It goes on to say that the 2017 Annual Cybercrime Report from Cybersecurity Ventures predicts that cybercrime will cost the world $6 trillion annually by 2021, up from $3 trillion in 2015. Let’s face it: cybersecurity is big business. And industry analysts are being inundated with calls asking about Zero-Trust and the technologies for it are starting to go mainstream. 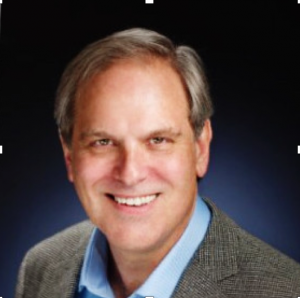 David Fudenberg, VLAB Chair of Alliances and Partnerships, is chairing the April 9 VLAB panel at Stanford on Zero-Trust Cybersecurity: Trust No One. He chatted with VLAB blogger Michelle McIntyre about why he stepped up to lead a panel and what he thinks about this white-hot cybersecurity trend. Michelle: What was your first VLAB event and why did you decide to step up as an event chair? David: I’ve chaired events in the past such as Open Data Center Networking. What attracts me to VLAB is the unique focus on both business and technology. Michelle: Why did you pick the topic of Zero Trust Cybersecurity? Is this something that is available now or is it more “future tech?” What are its real-world implications? David: Zero Trust is both here and not here. Everyone in the security space talks about this, few actually do it. In the last century, companies kept all their IP in their headquarters and protected it via a moat—a perimeter firewall. Yet over the last 10 years, most companies have part of their data in the cloud: be it AWZ, Azure, Google, etc. This has led to a need to deeply rethink the security paradigm. David: Always look to challenge yourself! The “Zero-Trust” panel at Stanford is being moderated by Randy Wood, vice president, public sector, Akamai Technologies, with senior executive panelists from Aporeto, Illumio, Dell Technologies Capital and VMWare. It’s at Stanford’s Hauck Auditorium. Buy tickets at vlab.org. Follow VLAB @VLAB on Twitter as well! See you April 9!